Not to long after World War II, in 1946 the highest pictures of the earth was taken. 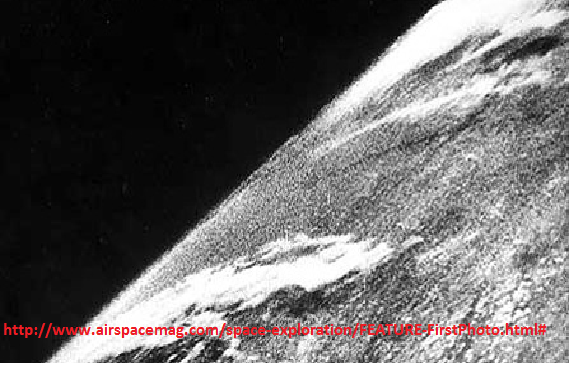 The grainy and black and white picture was taken from an altitude of 65 miles in the air off of a V-2 missile launched from the White Sands Missile Range in New Mexico. Taking a picture every second and half, the rocket went straight up, then fell back to Earth minutes later, crashing into the ground at 500 feet per second. The camera was smashed, but the film that was protected in a steel cassette was unharmed. The Scientists went crazy to discover and produce this image that was the first image taken in space. This image changed everyone’s thought on space, that there is a possibility of leaving this planet and going to another. They created the factually evidence that we can leave this planet. But brought up another question and fears that are we the only species capable of doing so? 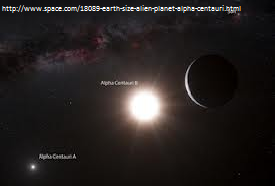 Alpha Centauri is the closes planet to matching our planet. It’s mass is a bit bigger then our planet but it has roughly the same atmosphere as ours. Astronomer’s predict that this planet could sustain unknown life. Sun like star Alpha Centauri B, which is part of a three-star system juts 4.3 light-years away from us. Alpha Centauri may not be a twin earth because the surface of this planet could be covered in molten rock. This picture was taken by instrument called the High Accuracy Radial Velocity Planet Searcher or HARPS. HARPS is a telescope one of the instrument allows astronomers to pick up the tiny gravitational wobble an orbiting planet induces in it’s parent star. Astronomer’s look for a star then watch that star to see of it flickers or blinks. This images of Alpha Centauri has created the questions about can we find another species of life? Is there another life form out there? It’s hard believe we are the only ones but it’s also kinda a weird thought to think about. This image made me me think about how thinking if we found life we would take over that planet. Astronomer’s have been watching Saturn’s moon Titan for 30 years now. 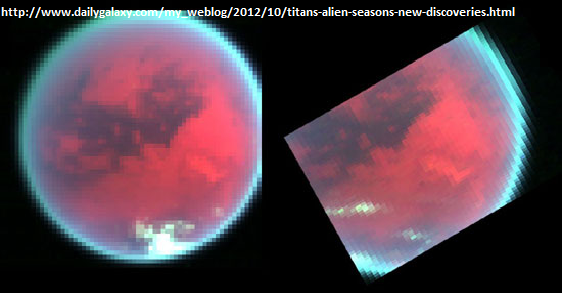 Analyzing date gathered over time has found that the changing season of Titan affect it more than previously thought. There are differences in atmospheric temperatures, chemical composition, circulation patterns and especially at the poles (As you can see in the picture above). Titan is our best opportunity to study conditions very similar to our own planet in terms of climate, meteorology and astrology. This image give’s the thought there are planets possibly exactly like ours. With an Atmosphere, temperatures and climate that could be the same on other planets as our own. IT’s possible that maybe one day we will find another planet the same as ours. When you see a picture of space doesn’t mean it’s always 100% real. But that doesn’t mean it’s 100% fake either. Pictures from space are actually hard to take. There is more light up there then you may think, since it’s dark up there. A camera looks for a light source to take a picture to give it that clarity but when your dealing with not just the sun but also other planets because the sun’s light is bouncing off those other planets back at you, this is what makes it harder. The Hubble telescope has expanded our understanding of star birth, star death, and galaxy evolution. But the picture you see that Hubble the space prob has taken aren’t originally the ones you see. Hubble takes pictures only in black and white then filters in other colors into the picture to give it those amazing colors. The picture would look very much different if they didn’t have that color. Hubble give’s you the perception that space is very colorful. But your mind tells you there are fake because they’re so amazing of the color. That give’s you the thought about space doesn’t look like that. 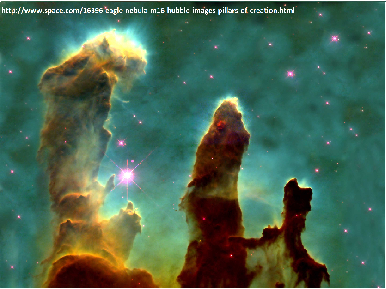 But all the pictures that come from Hubble before an artist does something to it that’s exactly what it looks like.